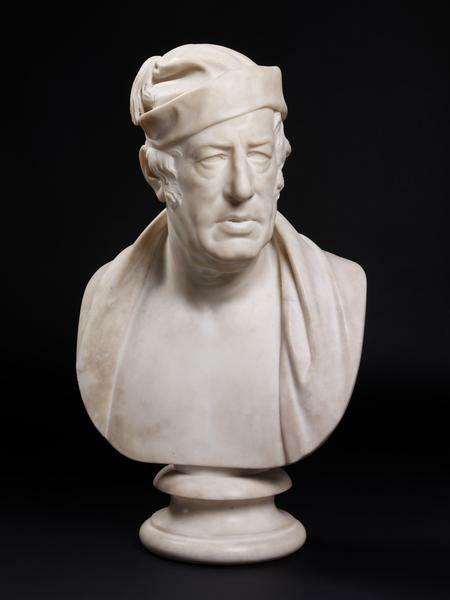 John Raphael Smith (1751-1812), a famous printmaker and print publisher, was a patron of the sculptor. He was also deaf, and Chantrey was reported as saying that 'the expression of deafness was conveyed principally by the mouth. If you observe a deaf man's mouth, you will always find the lips unclosed when he is attending to you'. Although the bust is dated some 13 years after Smith's death, it was probably based on a model made during his lifetime. Smith was to have a significant influence on Chantrey, whom he met when he was an apprentice to a restorer and picture-framer. Later, when Chantrey moved to London, Smith helped by introducing him to potential patrons. Sir Francis Legatt Chantrey (1781-1842) was an English sculptor, painter, and patron. He was probably the most successful portrait sculptor of his day. 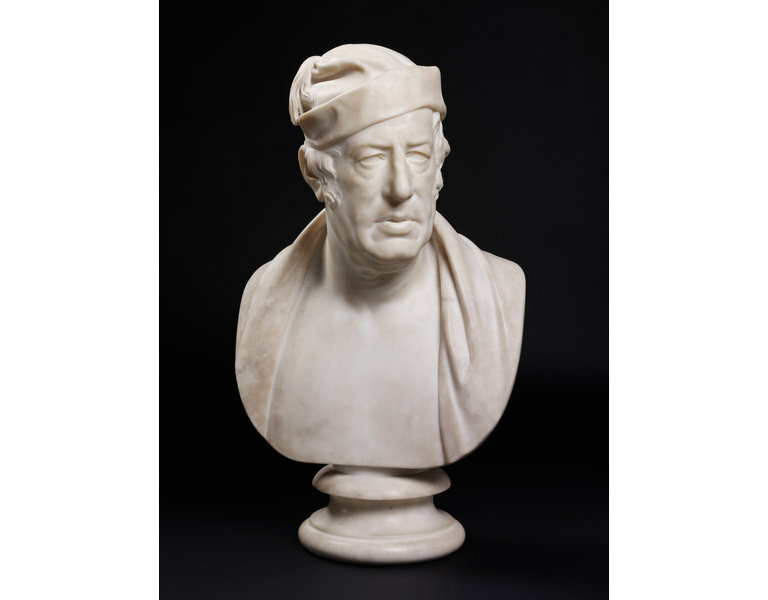 Together with Flaxman Chantrey can be ranked as England's greatest sculptor engaging in portrait busts and statues. He was particularly skilled in carving drapery. On his death he left a fortune of £150,000 which was later bequeathed to the Royal Academy to be used for the 'Encouragement of British Fine Art in Painting and Sculpture'. Commissioned by Sir Simon Clarke Bt. ; an entry in Chantrey's ledger on 16 December 1827 records the cost of the bust, £105, but it was still in Chantrey's studio on 14 February 1835. Given by Mrs O. Stuart Andreae and her sister Miss South, Kenna House, Kensington Palace Gardens, London in 1920. Yarrington, Alison, et al. The fifty-sixth volume of the Walpole Society : 1991/1992. An edition of the ledger of Sir Francis Chantrey, R.A. at the Royal Academy, 1809-1841. London: Printed for the Walpole Society, 1994, p. 200, no. 176b. 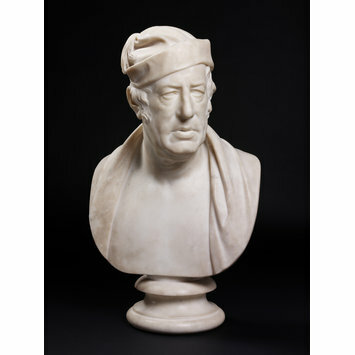 [Catalogue entry] Sir Francis Chantrey 1781-1841, Sculptor of the Great. 1981, cat. no. 10. Rosenblum, Robert, Citizens and Kings: Portraits in the Age of Revolution, 1760-1830, London: Royal Academy of Arts, 2007.